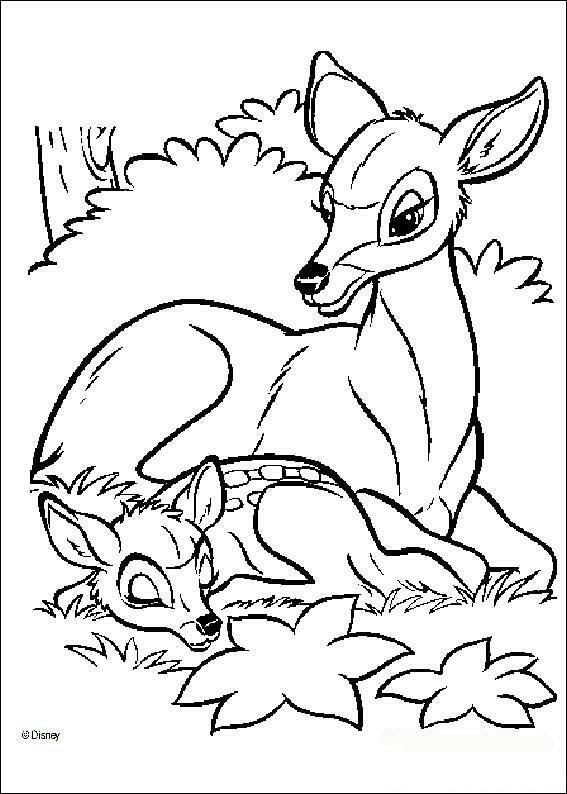 This page features Coloring Pages of Disney Characters, and other printable cartoons. To print these images, just right click on the image of your choice and select a SAVE option from your drop down menu. This will save the image to your picture file, from where you can reduce it or enlarge it as needed. Then print as many copies as you like for your own personal use. The Walt Disney Company was founded by two brothers named Walt and Roy Disney. The company started as a local animation studio in 1923. It is now the largest media and entertainment company in the world. * The first coloring book, published in 1879, was called The Little Folks Painting Book. * Red, Blue and Yellow are known as primary colors. Other colors are made by mixing primary colors together. Red and Blue make purple. Red and Yellow make orange. Yellow and Blue make green. And so on. * Blue is the most preferred "favorite color" throughout the world. * Not only is coloring fun, but it also serves many educational purposes. Coloring can improve communication skills, concentration and hand-eye coordination. * Colors are known to affect people's moods. The pinks and pale greens used in prisons and hospitals have a soothing, stress-reducing effect. Bright red gets people excited. * According to one study, most of what we call our "first impressions" are based on the colors people are wearing when you meet them. For more Coloring Pages of Disney characters, princesses, flags and other themed coloring projects, visit any of the links on this page.